Tier 1 – Standard dealer (Prospective Partner). 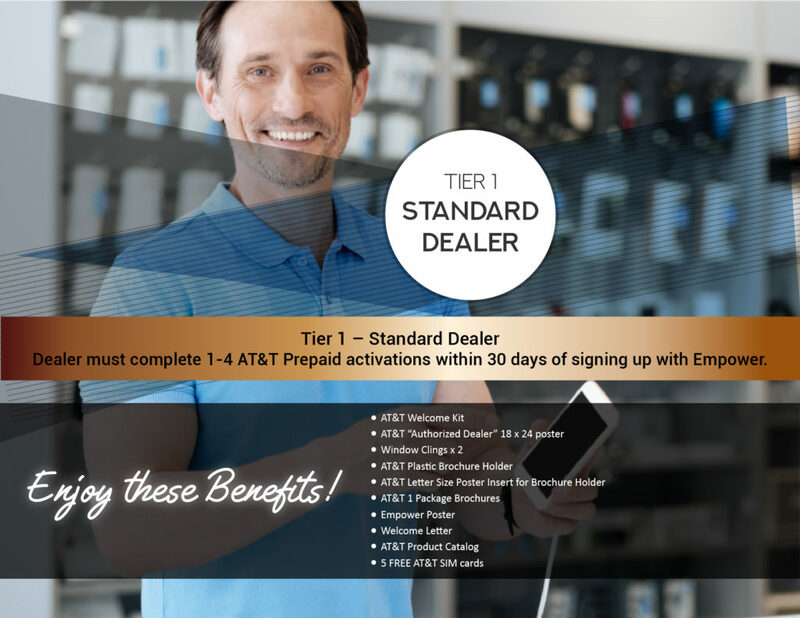 Tier 2 – Partner dealer. 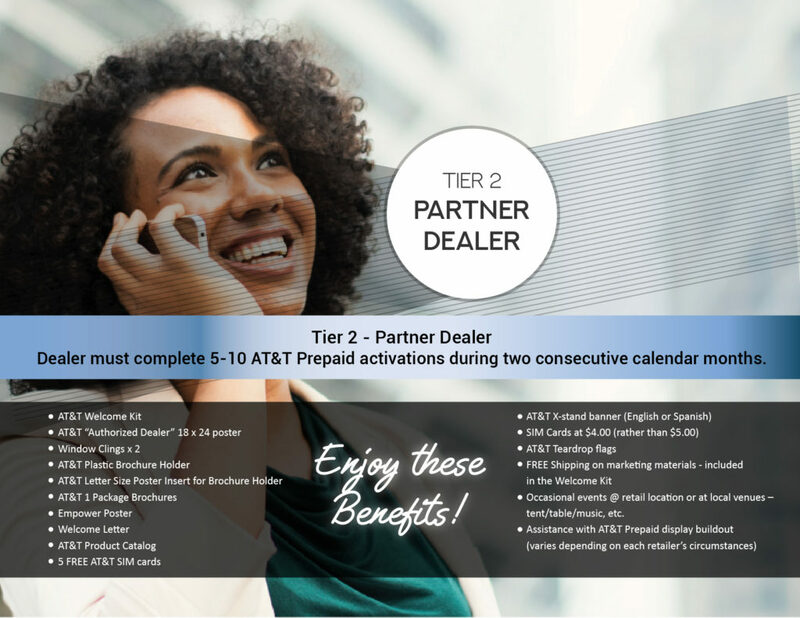 Dealer must complete 5-10 AT&T Prepaid activations during two consecutive calendar months. 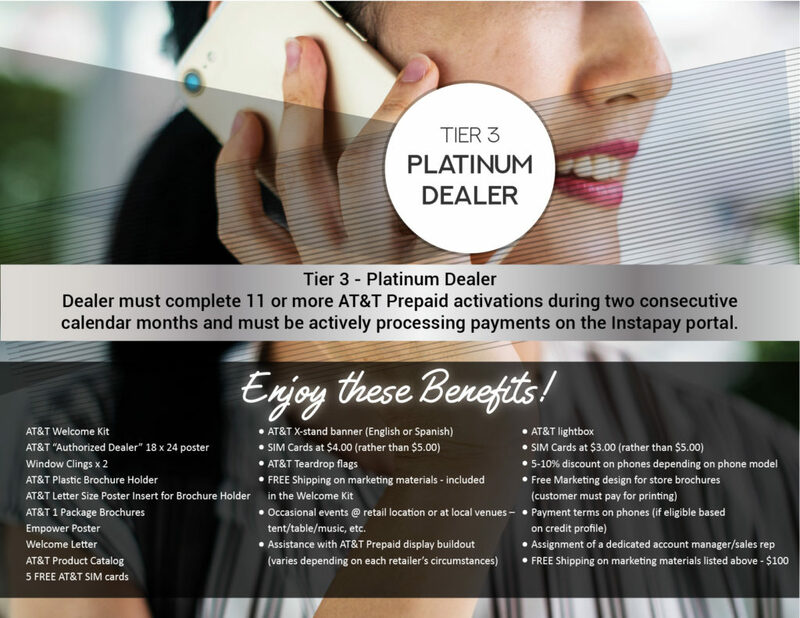 Tier 3 – Platinum dealer.